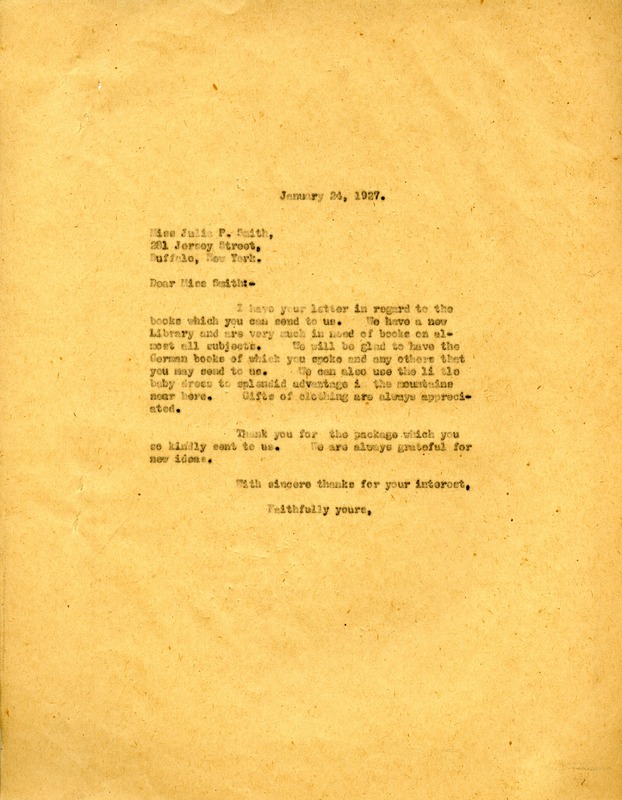 Letter to Julia P. Smith from Martha Berry thanking her for the German books she sent for the schools library. Miss Martha Berry, “Letter to Julia P. Smith from Martha Berry.” Martha Berry Digital Archive. Eds. Schlitz, Stephanie A., Rachel Renaud, Chelsea Risley, Haley Fortune , et al. Mount Berry: Berry College, 2012. accessed April 26, 2019, https://mbda.berry.edu/items/show/5820.